"Lord, grant to thy servants to speak thy word." In the Old Testament Moses and Elijah performed miracles to confirm God’s existence and call people to repentance. Beginning with Jesus and the Apostles, and throughout the history of the Church, healing has had a special role in evangelization. In fact, one of the main reasons that Christianity spread so quickly was because of the signs and wonders performed in the Church during the first several centuries of its existence. Many of the saints were known for performing great signs and wonders to give evidence of the power of Jesus as Lord and Savior. Some of these saints would train others to perform miracles, like St. Francis Xavier, the great patron saint of the missions, who taught children to heal the sick and tell them stories to build their faith. It’s not hard to believe that God would use saints to perform miracles. Even saints of the last century, like St. Padre Pio, were known to perform signs and wonders. Yet, do we believe that God wants to use ordinary people like you and me to do so? Here at the St. Paul Evangelization Institute, we believe that God is opening the door of miraculous healing for evangelization in the Church today. 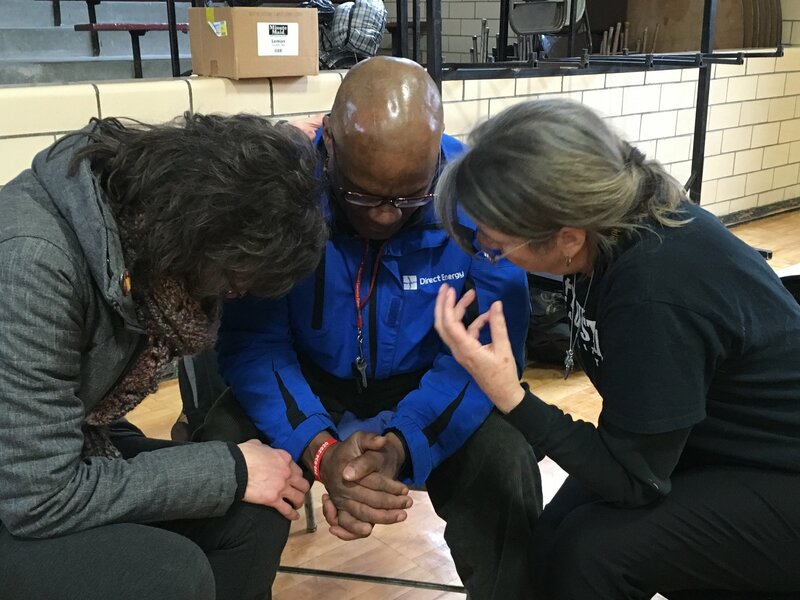 Our evangelists have been praying for people for healing and have witnessed miraculous results. Our Healing in Evangelization Training Workshop will discuss the basis in Scripture and Tradition for asking God for miracles of healing, and model healing prayer using a four- step process. The goal of the workshop is to help each Christian evangelist discern what role healing prayer might take in their work of evangelization. For more information on how this fits in with Catholic theology, please read this article from our director of theology. This session reviews the role of healing throughout Scripture and especially in the ministry of Jesus, the Apostles, and the disciples of the early Church through the first several hundred years of Church history. We lay the foundation that it is not only praiseworthy to pray for healing, but that redemptive healing is one of the primary signs of the coming of the Kingdom of God. This session reviews the role of healing prayer in the Church today. The Sacraments are ordered towards our healing and redemption. We talk about redemptive suffering, redemptive healing, saints who had charisms for healings, and how God wants us to pray and ask for healing whether we have a special charism for it or not. Our four steps for healing prayer are: 1) Ask the person what they want prayer for. 2) Pray. 3) Ask the person how they are doing. 4) Offer suggestions for follow up and proclaim the Gospel. We go into detail on each step and explore questions that are often brought up. When threatened by a hostile culture the believers in the early Church gathered and prayed for boldness that they would speak God’s Word. They also prayed that God would stretch out his hand for healing. We will pray together that God would grant us boldness and help us become fruitful evangelists for the Kingdom of God. After praying for an outpouring of the Holy Spirit, the speaker will model healing prayer and then we will pray together in groups. This session will focus on using healing prayer in the context of evangelization. We will talk about conversation starters, tools for evangelization, the difference between power evangelization and evangelizing by our own human wisdom, our One Good Reason method of evangelization, and lay down 7 general principles for power evangelization. 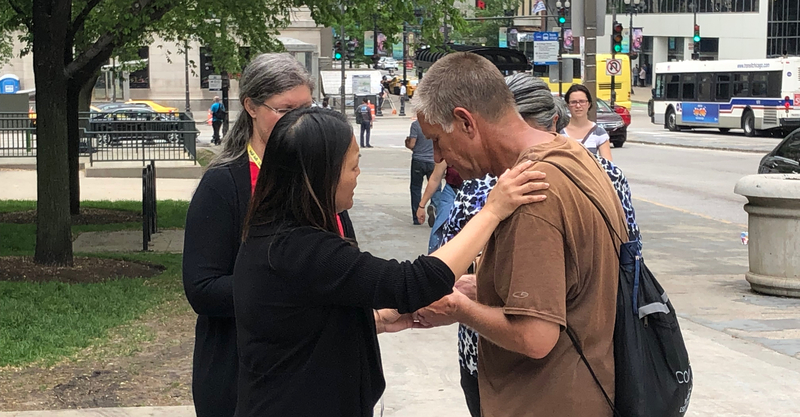 Our Healing in Evangelization workshops have some costs associated with them because of the costs that our team incurs to travel and offer these opportunities. If you would like to set up a workshop at your parish and have the ability to do so, please use the form below to contact us, or write directly to adam@stpaulev.com. We will ask you to complete a speaker request form and include a date that you have in mind.